Mapon Lite system – a simple solution for private and business use. 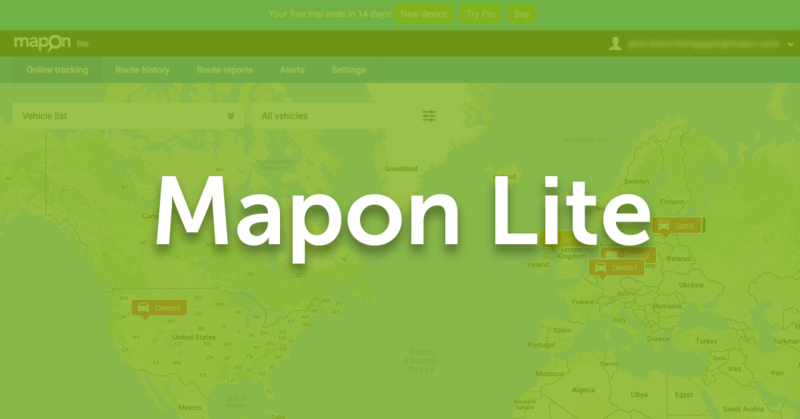 Mapon Lite is a simplified version of Mapon Pro system; however, it still comes with many useful features that will be perfect for both private and business needs. This is the primary function, and it allows you to track any vehicle or asset. You can add your own devices, use Mapon mobile tracker solution or buy our devices from our online shop. 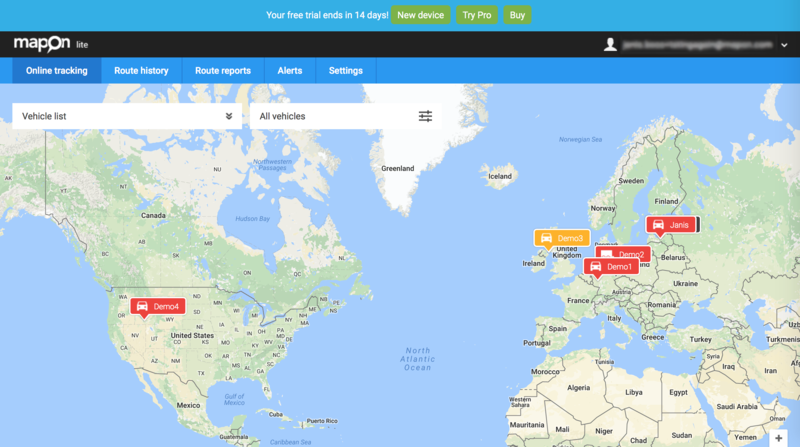 Online tracking tab allows you to follow the real-time location of your tracking devices and Mapon mobile trackers, which can be useful for both private and business use. 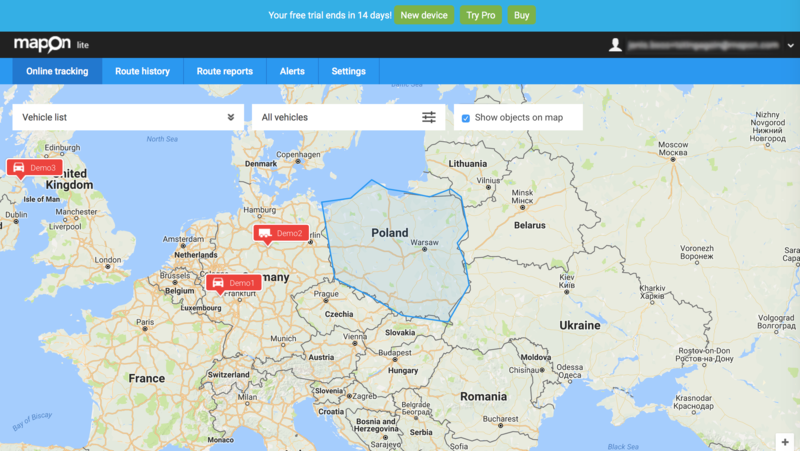 See your kids location; track your family members’ vehicle location or easily oversee your fleet activity. It also displays vehicle moving speed and standing time. It also allows dividing vehicles in separate groups to ease the management of your fleet (useful for companies that need to manage larger fleets). 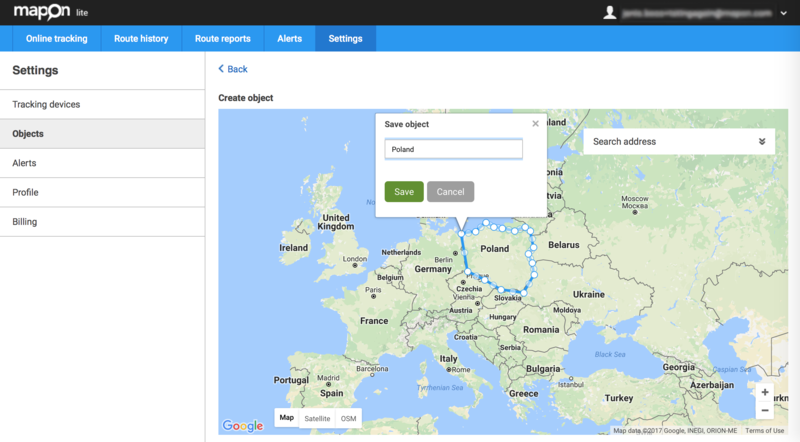 Objects functionality allows you to create specific territories that are essential for you or your business. 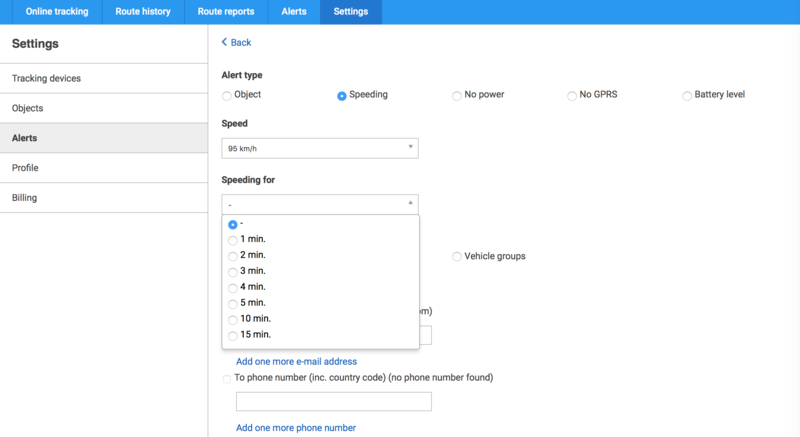 That can be used in reports to see at what time and which cars were within the territory, as well as to set-up different alerts that will be sent to you as text messages or e-mails whenever a particular action is triggered (entering or leaving the object). This section of the system can be used to check historical routes and speed charts of your vehicles and assets that are being tracked. 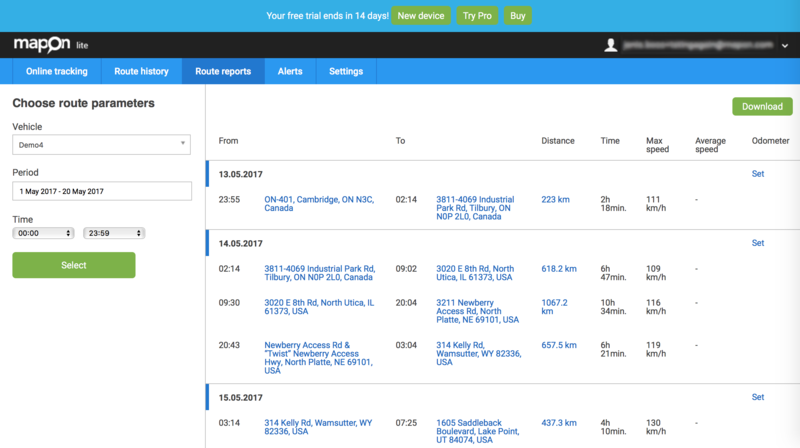 Route history will help you to analyze the routes in different time periods (which can be customized based on your needs). Reports can be used for private as well as business needs. Mapon Lite system offers 1 type of report that depicts different key metrics in one chart. You can select the time period and the vehicle of your interest. The generated report will show full route history, including information about stops, distance travelled in each step, start and end locations for each trip as well as time spent on the road, average speed and max speed. 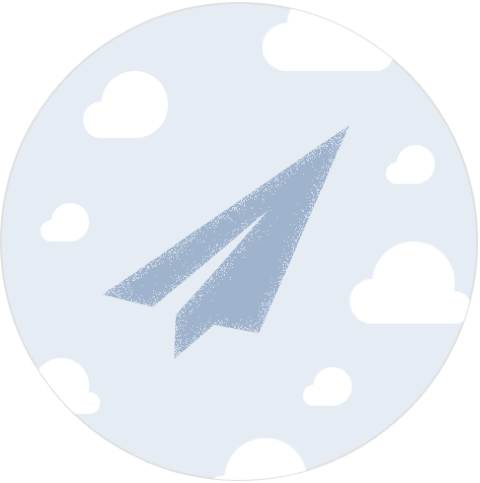 As previously mentioned – “alerts” is a powerful tool that can be combined with geofences to create a unique solution and alert system. In addition to that, you can receive alerts for lost GPS signal of your tracking device, speeding, and low battery level. Alerts help to keep track of your tracking devices and their activity as well to be informed about any infringements and react fast. Mapon Lite costs EUR 7.14 for each tracking device installed (including Mapon mobile trackers) and is a perfect solution for private and family use. It can also be useful for businesses that don’t need much additional functionality that come with Mapon Pro system version.